What’s even rarer than a Murph guitar? A crazy-rare Silvertone 12-string Murph Guitar which were made for Sears for a short while. I've seen exactly "ONE" of these guitars since I've been collecting... and your looking at that "ONE" on this page. 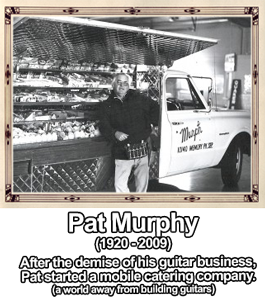 The Murph Guitar history started as a family-owned business run by Pat Murphy in the mid-1960's located in San Fernando, California. In their very short history, they built a varied line of solidbody, hollow & semi-hollow body guitars, and were attempting to branch-out even further when bad luck hit. 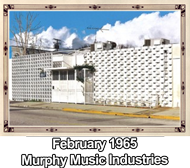 Murphy Industries was hit in the form of patent litigation... and went bankrupt in the Spring of 1967. This was a very sad ending to an innovative guitar company. 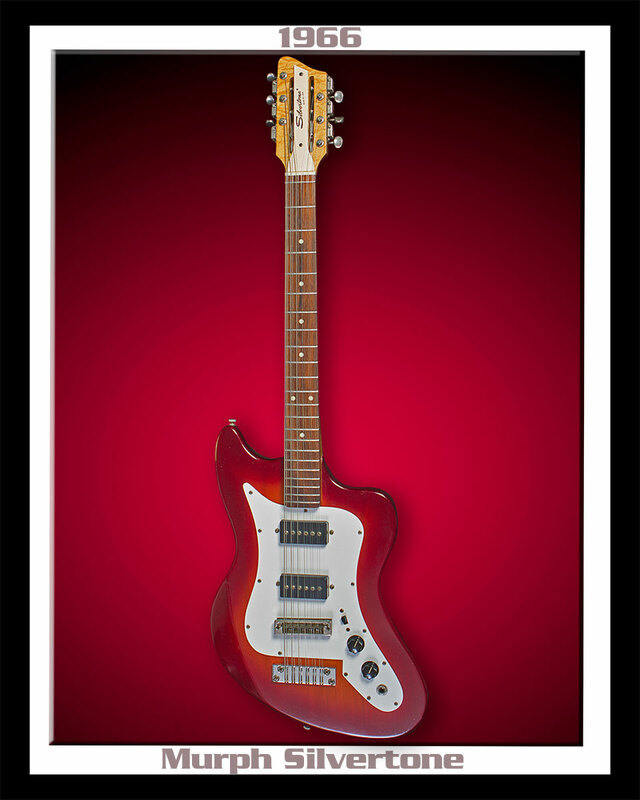 But how did the birth of the "RAREST" Silvertone Guitar really begin? 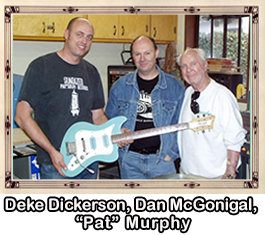 This Murph-Silvertone 12-String Guitar is only "ONE" of 25 that Pat Murphy built "on spec" for Sears in 1966 which carried the Silvertone logo. Unfortunately, at that point in history, Sears had exhausted their instrument purchasing budget for fiscal '66... with the promise of more Murph Guitar orders by early 1967. But by '67 Murphy Music Industries... was out of business. These rare Murph-Silvertone models never made it into any of the Sears catalogs... and it's not clear if any of the 25 guitars that were produced by Murphy Industries ever made it into any of the Sears West Coast Department Stores. This Murph-Silvertone guitar, that's now in my collection, come-out of the hands of a former instrument buyer who worked for Sears during the 1960's.